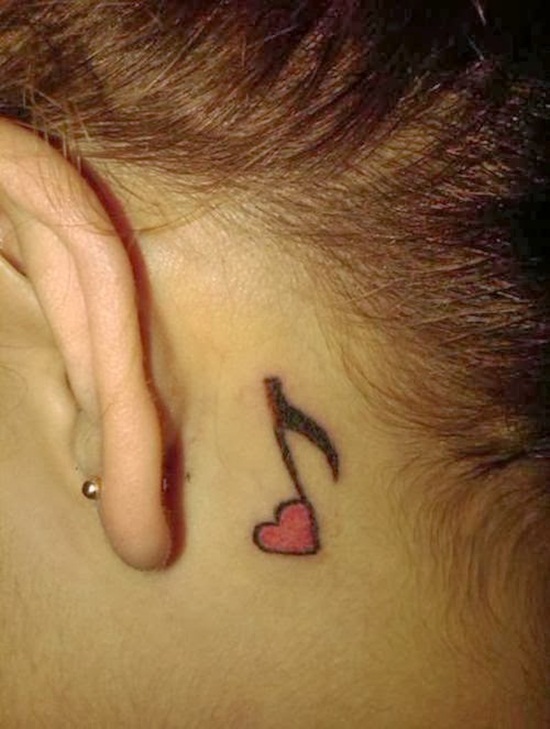 Ear tattoos have evolved as an extremely trendy and fashionable form of tattoo that defines modern fad. 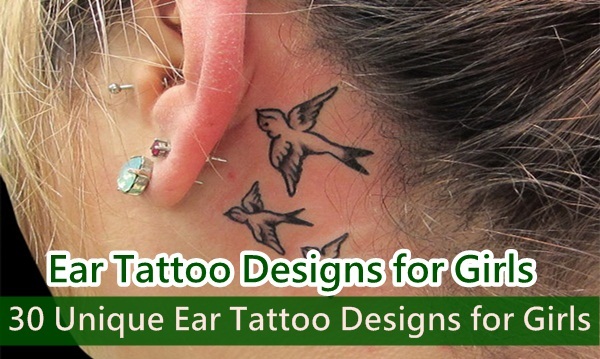 It has become a popular pick among most teenagers and youngsters and they crave to ink their ears with brilliant designs embellished with ravishing shades and textures. 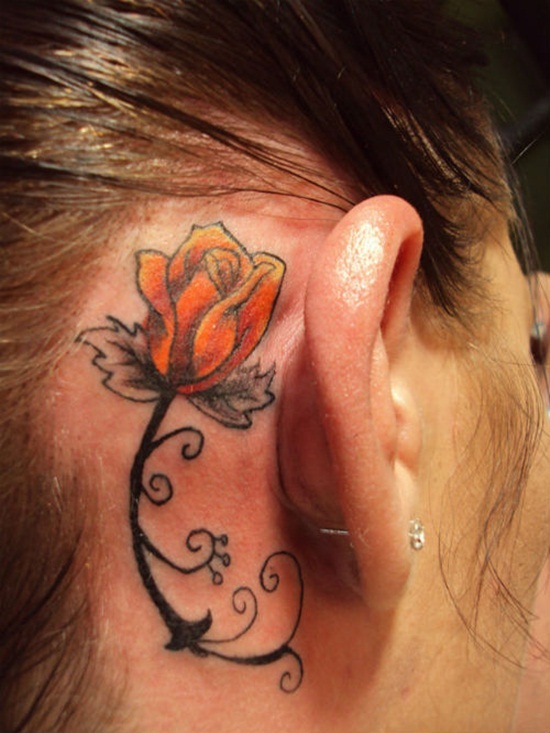 Mostly women prefer ear tattoos by virtue of its flexibility of flaunting and hiding it according to their will and wish. 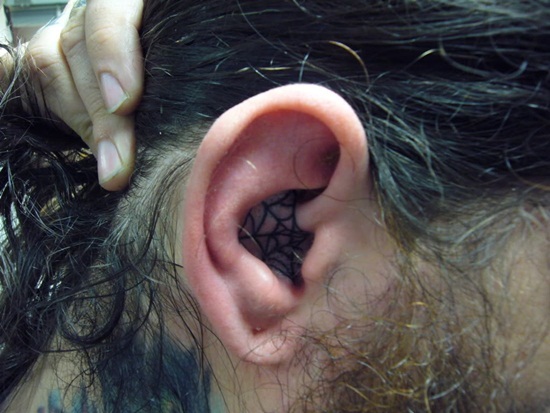 Men too long for ear tattoos but they generally opt for tattoos that spread from the ears to their shoulders and cover it entirely with its prominent strokes and designs. 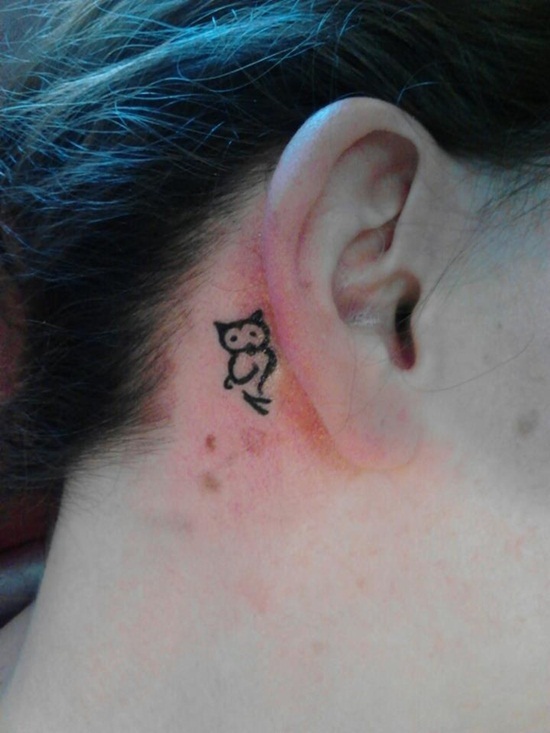 People who have a knack towards body art and have an elite aesthetic sense usually choose to get their ears inked with tattoos and grace them with appealing arts and designs. 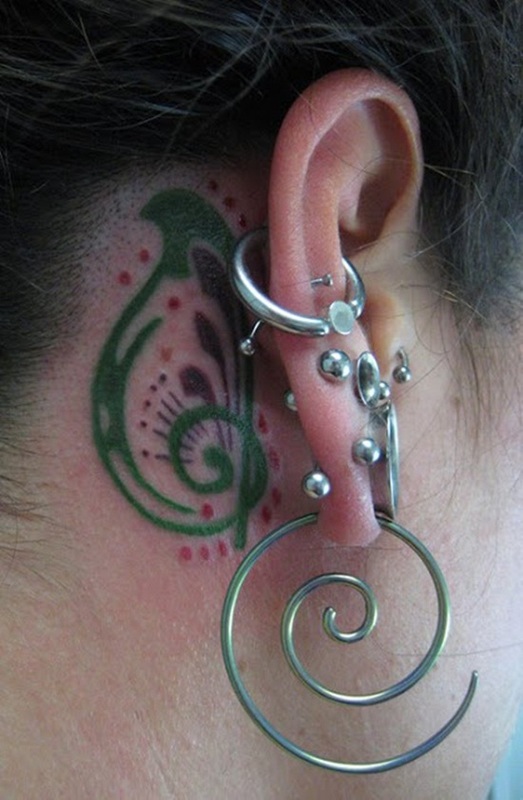 Ear tattoo designs opens up a wide variety of objects in small sizes. 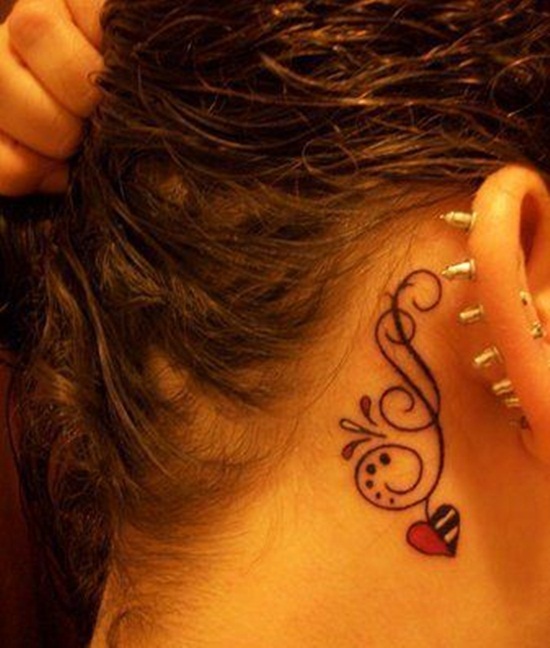 The brilliance of ear tattoo designs for girls lies in its beauty and charm of design and themes. 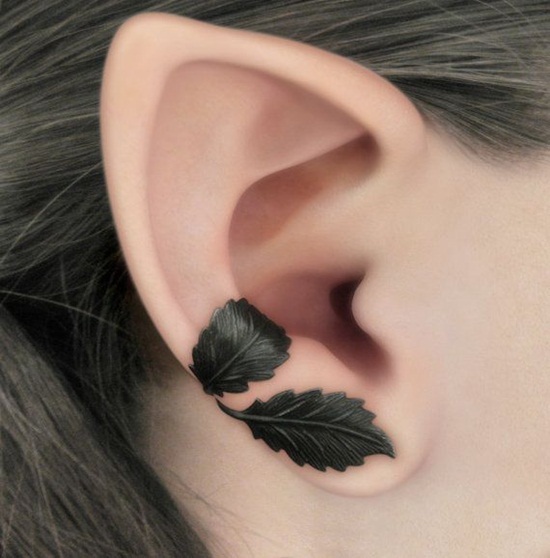 Girls can also grace their ears with gorgeous and dazzling ear rings and makes a spectacular display of the tattoos propelled by the ear rings. 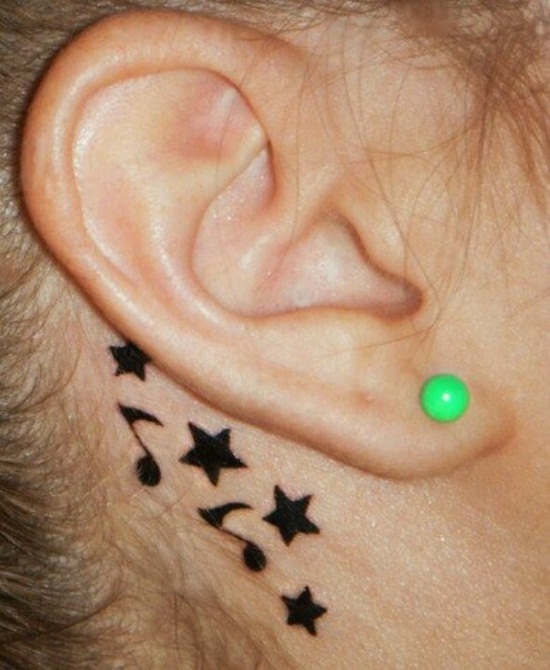 Ear tattoos are geared up with numerous captivating and enchanting designs. Girls usually love to pick from a wide range of options and settle their mind on the most sensational one. 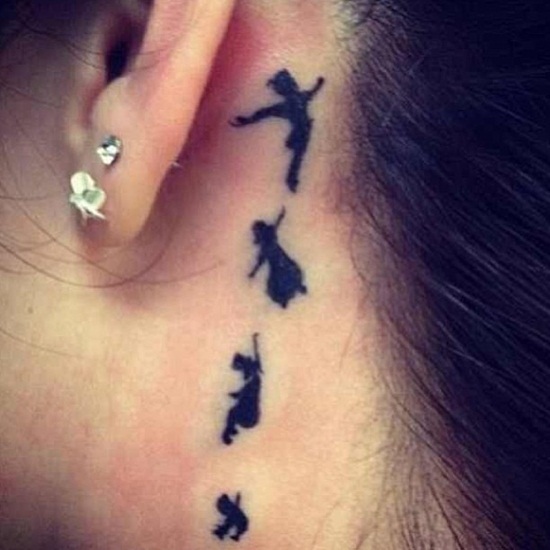 Such gorgeous ear tattoos are adorned with different objects that add to the beauty and grace of girls. 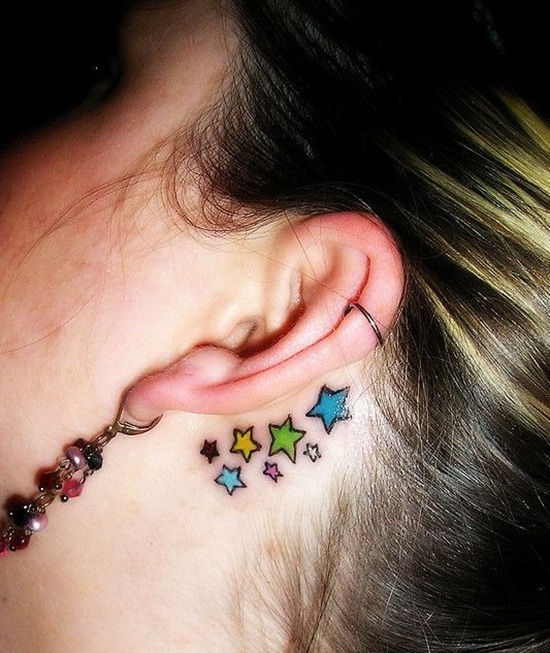 Objects from space or sky like stars, planets, sun, and moon are pretty famous and desirable designs among all ear tattoos for girls. Aerial creatures like different types of birds, dragon flies and bees are also a popular pick. Birds can be given beautiful shades and vibrant colors and hence it makes an eye catching display on the ears. Girls usually enjoy a soft and glowing skin and take immense care to appear picture perfect. 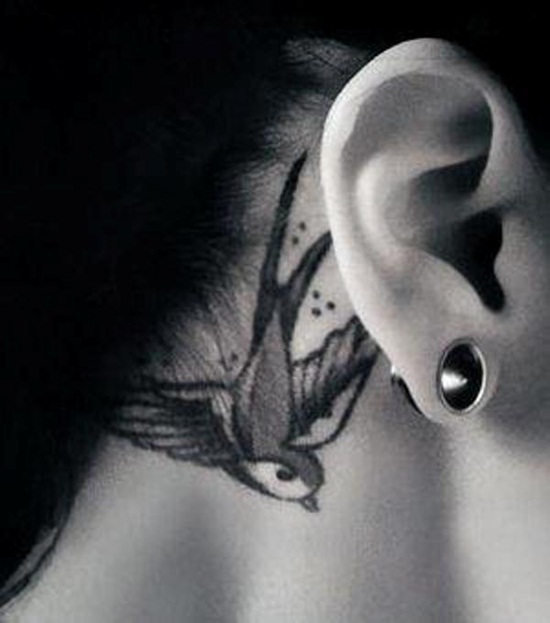 Hence ear tattoos on the magnificent skin engulfed with long dazzling hair gives an impeccable touch of beauty. 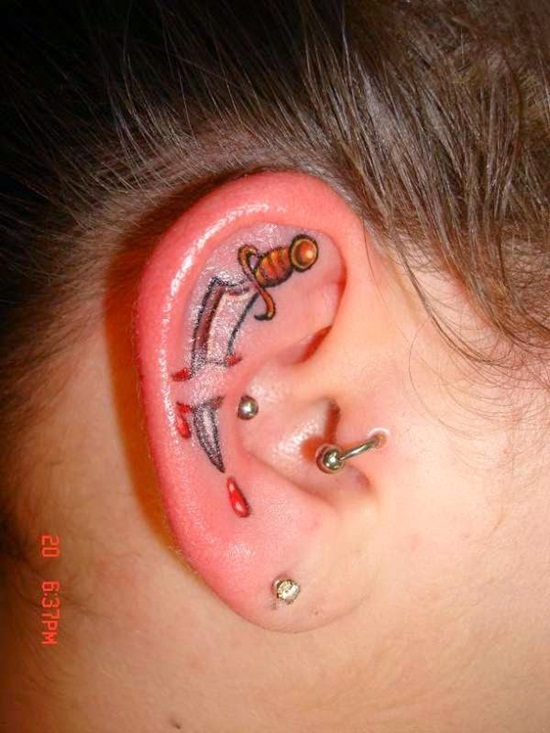 Girls also come up with many creative and innovative designs, notions and thoughts about ear tattoo designs. 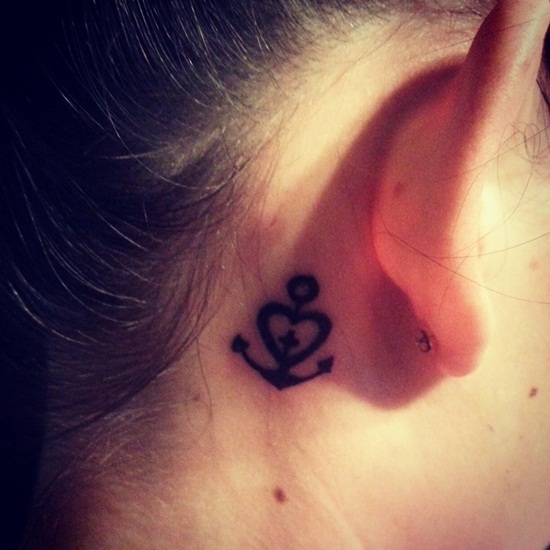 Tattoos are inked with different equipment and hence care must be taken to see that the equipment are proper and do not pose a threat to the skin. 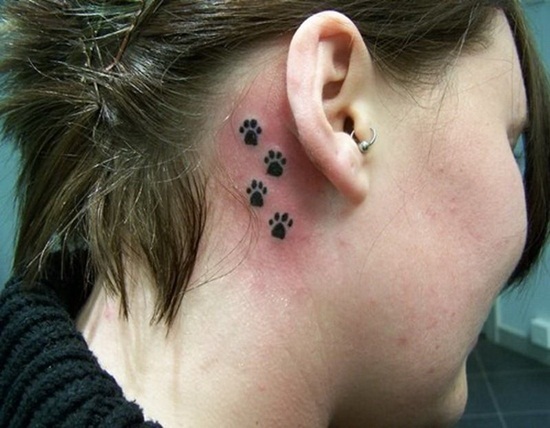 The chemicals used in the tattoos must be safe. 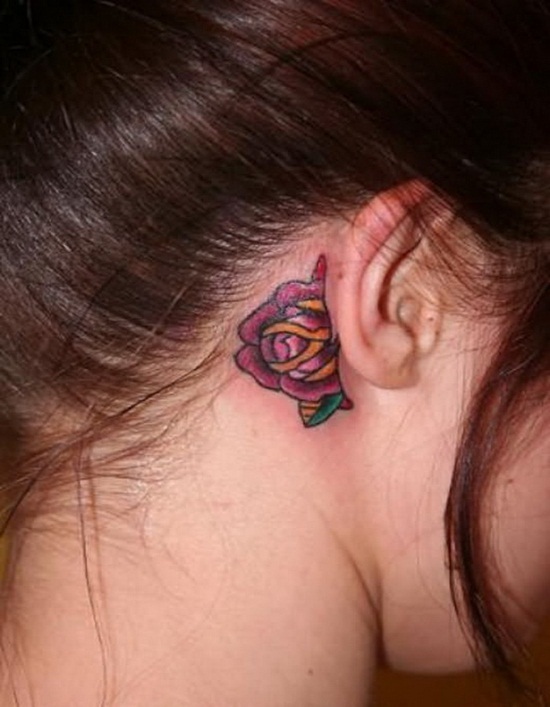 For this you must opt for an illustrious parlor or an expert tattoo designer whose products are guaranteed. 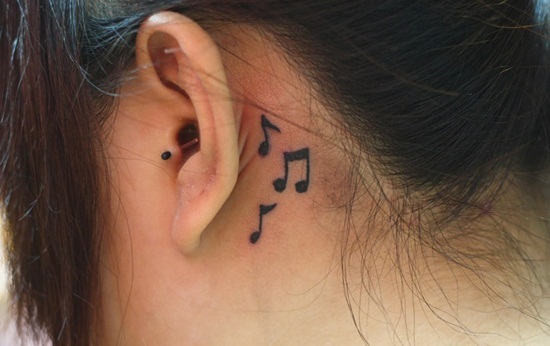 Tattoos can burning and itching and any such sensation on our ears can sound a big deal. 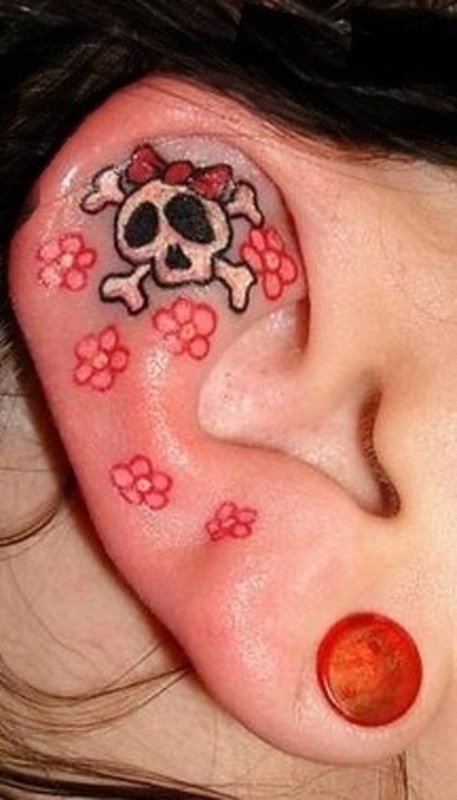 Hence girls with hyper sensitive skin must give a second thought before picking ear tattoo designs. Girls are quite choosy and fussy about designs and themes. 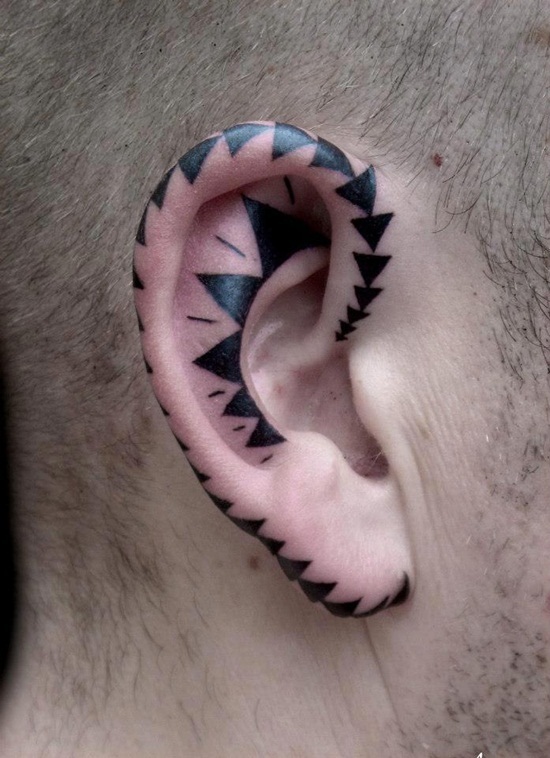 Ear tattoos ease their work by providing them with ravishing options. The designs are simple or bold but their uniqueness lies in the size. 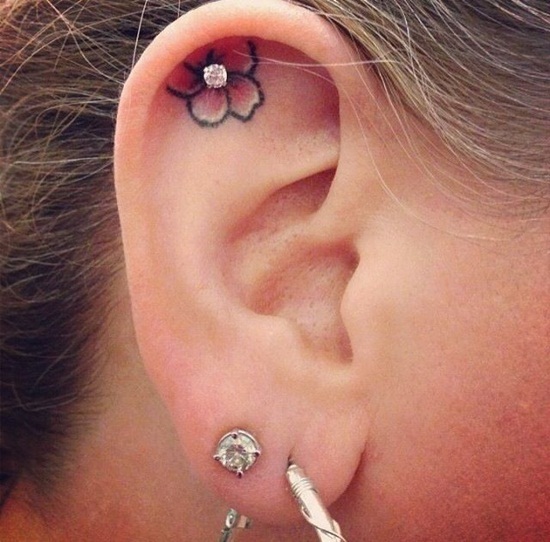 Ear tattoos are small but make a sensational display on the ears. 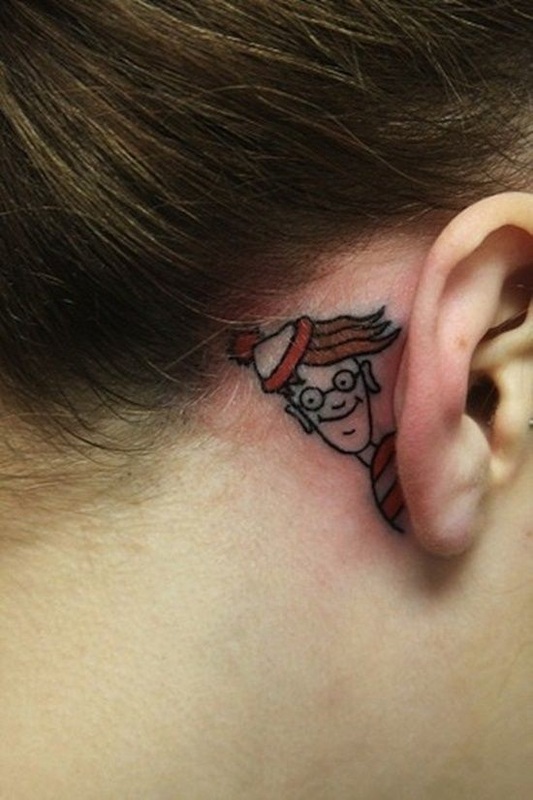 Many celebrities emboss the name of their partners or beloved on an ear tattoo. They flaunt it whenever they wish to make news about it or can even hide it and keep it secret and safe. 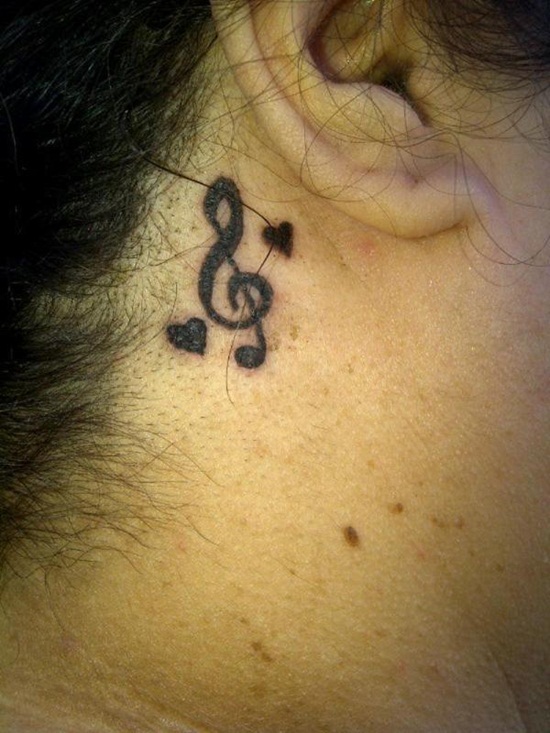 Girls prefer ear tattoos with floral designs and musical notes as it enhances the look and makes a stupendous display. 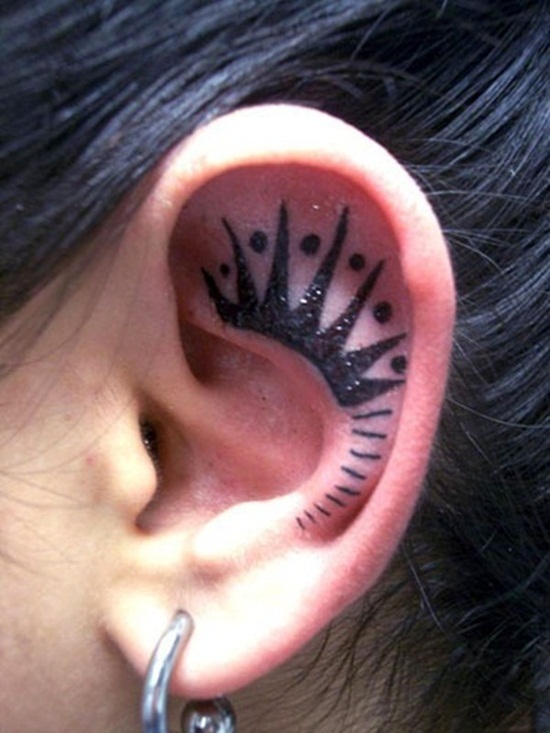 Tribal ear tattoos are also preferred by some of the girls who have a distinguished taste and preference. 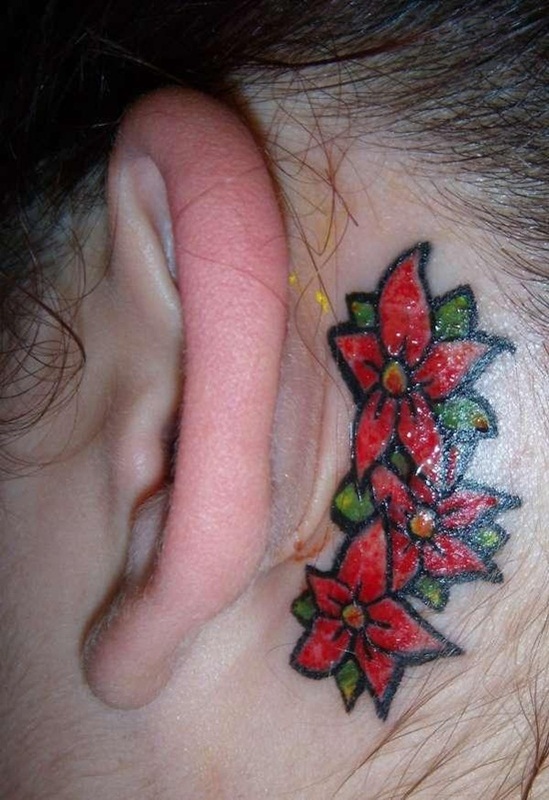 Ear tattoos do cover the general and gorgeous designs but the cherry on the cake is the 3D reflections of objects on ears. 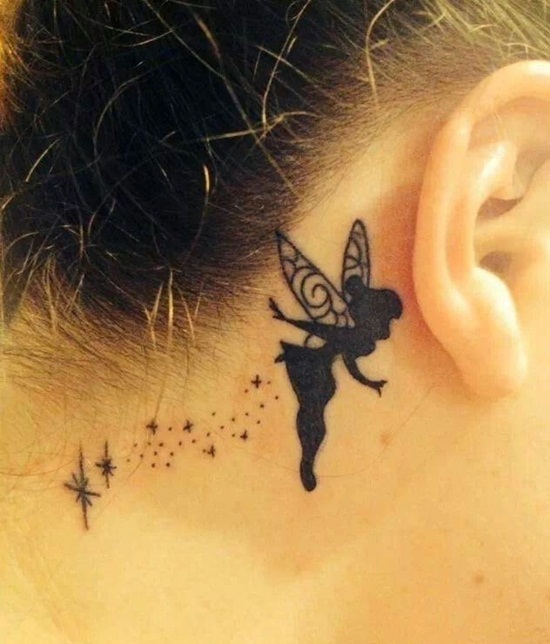 Girls have a unique choice and are particular about getting the right designs. 3D designs of pencils, birds, scenery has evolved recently. The marvelous 3D art with its shadows and effects is extremely enticing. 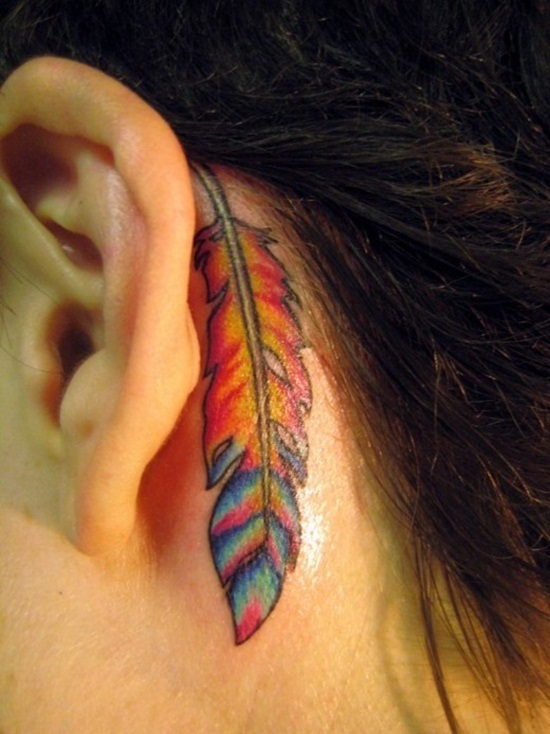 Another popular form of girls’ ear tattoos are peacock feathers. Peacock feathers are associated with much historical and mythological significance. 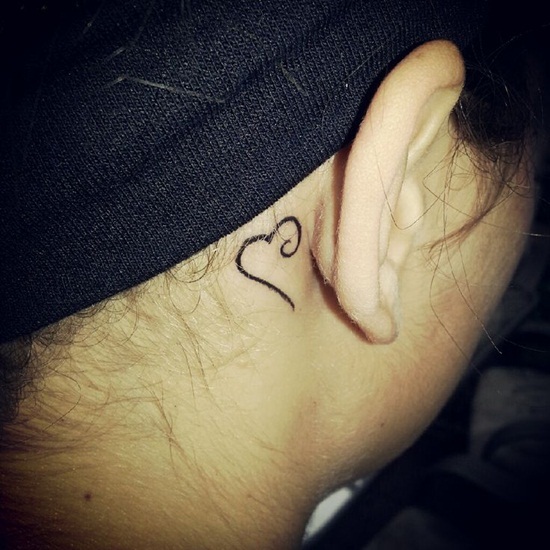 Hence most of the girls who are acquainted with their importance often get it inked as an ear tattoo. Peacock feathers have stupendous shades and breath-taking strokes. 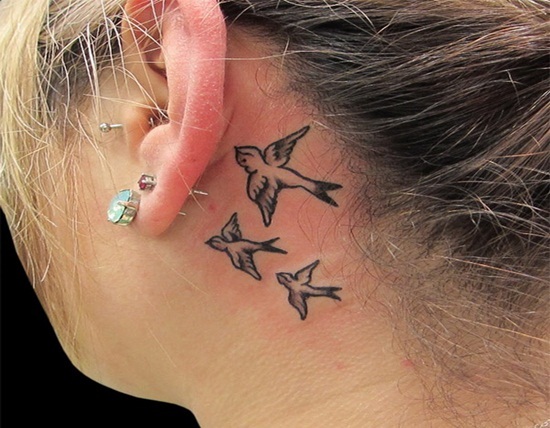 The perfect edges of the feathers and its designs can be given by a professional only. 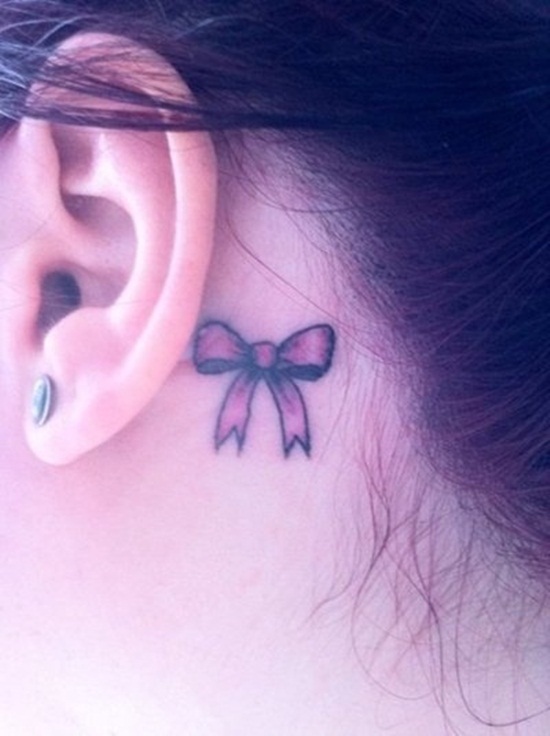 Girls generally cherish beautiful designs that capture the sight of everyone around. Hence peacock feathers make one of the most desirable pick for them. 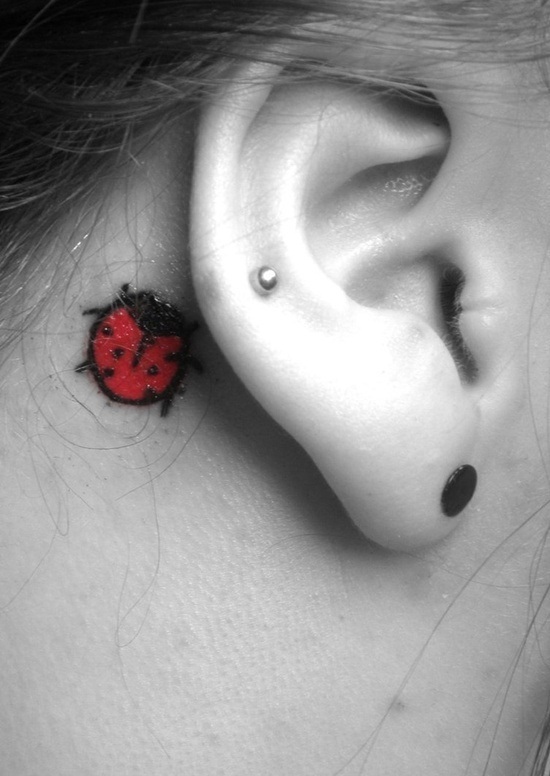 Moreover the shape is retained perfectly and it they make a perfect picture on the ears. 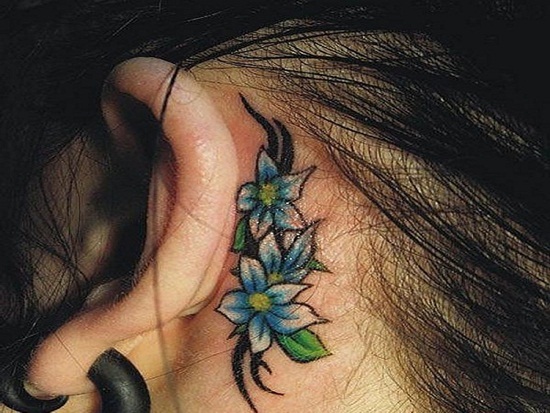 Ear tattoos are one of the most unique and distinguished form of tattoos and with the perfect aesthetic sense of girls they are defined with apt designs and themes that raise their importance and charm.